When it comes to sport, Northern Ireland has always punched above its weight. Iconic footballer George Best (after whom Belfast City Airport is named), golf's Rory McIlroy, Graeme McDowell and Darren Clarke, boxing's Carl 'The Jackal' Frampton and Barry McGuigan, snooker's Alex 'Hurricane' Higgins and Dennis Taylor, athletics Olympic gold medallist Dame Mary Peters and jockey Sir Tony McCoy are just some of the locals who have made it big in their chosen fields. The Northern Ireland football and Ulster Rugby teams have excelled on the international stage. And, despite the occasional slip-up, ice hockey's Belfast Giants continue to do well in the UK game. 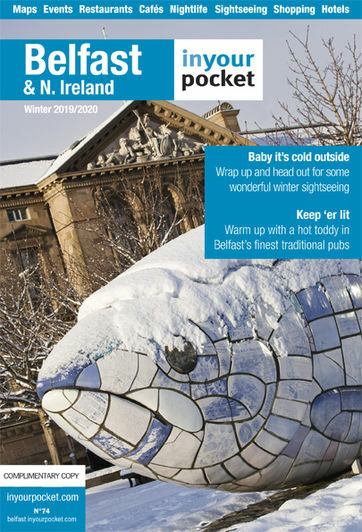 Last, but not least, if you want to experience Ireland's indigenous games of Gaelic football, hurling and camogie, check out Belfast-based Antrim GAA and the pan-Ulster league here. For info on all local sports, visit www.sportni.net or see our individual listings here.